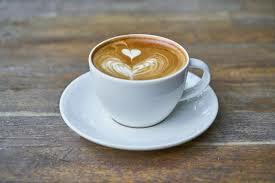 Consmers have plenty of choice in coffee, so the same freedom should be available when planning a funeral. How often do you stop and think about how you like to order your coffee? So many coffee choices and variations are available to us these days. We are all so different, and all have our own peculiarities with coffee, so why not with funerals? Here at Kings Funerals, every day we meet people; those who are trying to organise a funeral for a recently deceased relative and those who are pre-arranging a funeral for themselves. And every day we hear different needs, requests, wishes – each making up that distinctive individual service just the way it would reflect the individual life lived. So next time you ponder how you will have your next coffee, think about whether your funeral choices are as well thought about and as individual as your coffee. Phone me on 5248 3444 if you would like to discuss your options.